An inside look at the secretive world of elite philanthropists––and how they're quietly wielding ever more power to shape American life in ways both good and bad. The founder and editor of the website Inside Philanthropy, Callahan clearly knows the game and its players. This has its drawbacks. Especially in the early going, the book can feel laundry listy ... Happily, Callahan hustles through the preliminaries and into a sweeping exploration of what makes mega-givers tick, how they operate and how they differ from their predecessors ... 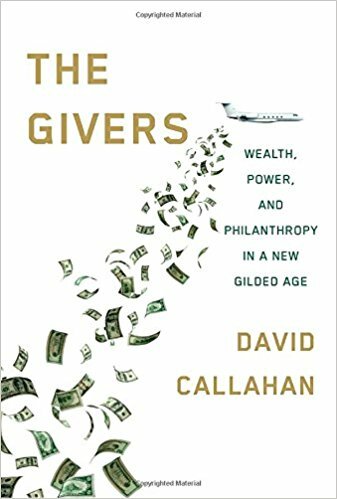 Many readers no doubt will share Callahan’s views on the dark side of Big Philanthropy, and his ideas for addressing it. But even those who don’t should give The Givers a go. Callahan offers a peek inside a rarefied, poorly understood world with ever greater power to remake the broader world. It’s an engaging, thought-provoking tour well worth the taking. While Callahan works really hard to stress the plurality of big-donor interests — there are environmentalist donors! feminist donors! velodrome-obsessed donors! — his proclamations along these lines seem a bit desperate. It feels like he is squinting in order to pretend a draining glass is half full ... It’s clear that he wants to avoid more charged political phrasing because so much of what these donors are doing is so earnest and well intentioned...But there’s an old saying about the road to hell, and the content of the pavement that leads to it ... By emphasizing the possibility of reforming the tax code and encouraging Americans to advocate for a better-financed government, Callahan reminds us that the United States remains a place where the many still have the capacity to rein in the influence of the few. The Givers benefits from Callahan’s relationship with the faces of philanthropy. 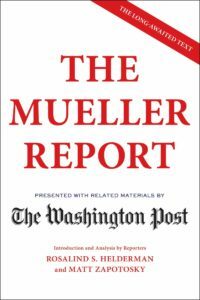 He is the founder and editor of the watchdog site Inside Philanthropy, whose goal is to 'pull back the curtain on one of the most powerful and dynamic forces shaping society.' Through interviews with wealthy donors like John Arnold and Eli Broad, Callahan provides a measured take on this issue. He does not condemn the actors; instead, he criticizes the system they operate within. Philanthropy is neither inherently good nor inherently evil. The problem lies in inequality itself, and the opacity surrounding the giving process ... Depending on where one’s politics fall, Callahan’s solutions can read either too optimistic or too critical of the benevolence of the one percent. Regardless, The Givers at least attempts to think through solutions for this issue. What did you think of The Givers: Wealth, Power, and Philanthropy in a New Gilded Age?